Traveling to Vietnam, visitors cannot ignore a destination in Hanoi which is famous for the bustling Asia life with ancient atmosphere - Hanoi Old Quarter. Since imperial time, this area focuses on small-scale manufacturing and commercial activities. The Old Quarter is not too wide, but the streets here are interwoven together like the chessboard. No matter how tired we are, it is pretty hard to walk all of the streets. 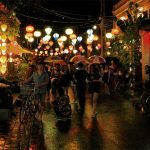 So, in this article, I will give you how to move from Hanoi airport to old quarter in some comprehensive ways which you can choose to match your need. Uber, Grab (which you might already know) with more reasonable price than the taxi. With your application, you can easy to point the exact destination and know about the cost. Currently, there are three Airlines in Vietnam offering this service with a very reasonable price. 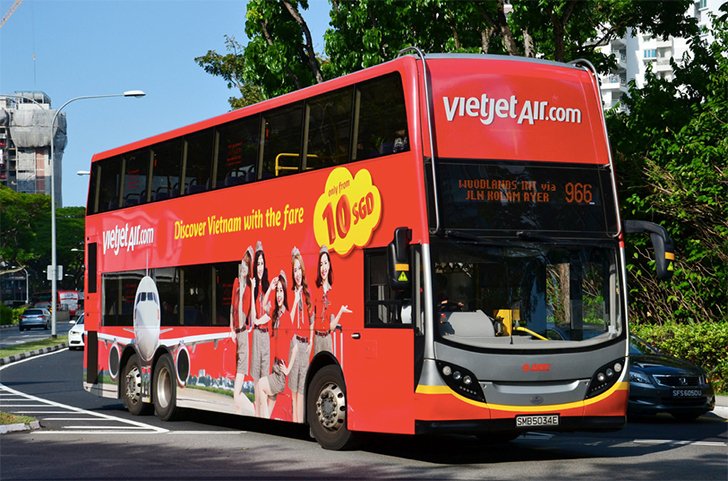 However, in this article I only mention Vietjet Air since this option is the most convenient and popular. - Ticket: 30,000 VND ~ 1.5$ per person, one way. * Note: You do not need to book the ticket in advance, and you can pay cash (VND - Vietnamese currency) in the van. Where to find? : Go outside on the 1st Floor, and Shuffle Bus is available every 5 minutes at Pillar 17. 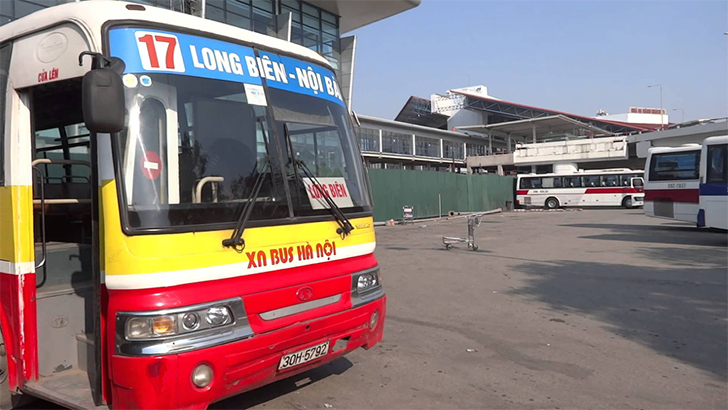 It takes around 4-5 minutes to move to Domestic Terminal and drop you at the place which you can easily find a sign "BUS STOP" and a Vietjet Air Bus with red and yellow sticker (as below picture) will park very near there. 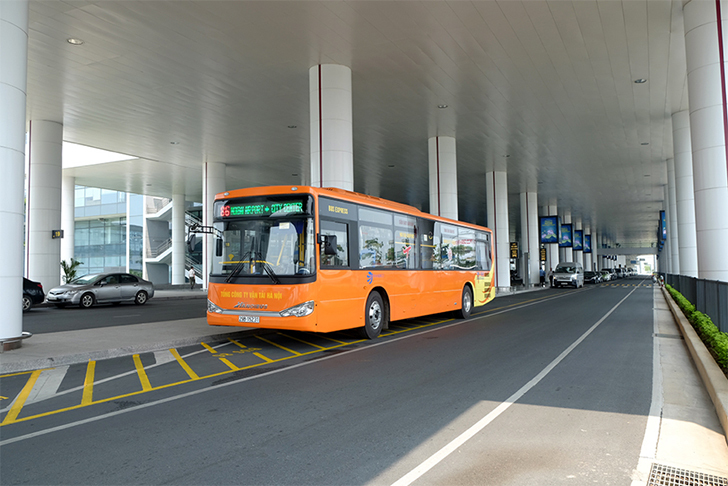 + If you are in Domestic Terminal (T1), directly go outside on the 1st Floor and find a sign stated "BUS STOP" and as I mentioned above, a Vietjet Air Bus will park near there. Many taxi branches will be available here but please note that you should use the taxi which I mentioned above. I recommend you call Uber car or Grab car for saving cost and avoid scam. To encourage tourists to visit Vietnam, Public Bus No.86 was officially launched by the Government, and I also recommend this option for you because of its convenience. - Ticket: 30,000 VND ~1.5$ per person, one way. This is the cheapest option, but you will really take time with it. I will recommend this choice if you really want to save cost for your trips. Where to find: Go outside on the 1st Floor, and Shuffle Bus is available every 5 minutes at Pillar 17. It takes around 4-5 minutes to move to Domestic Terminal and drop you at the place which you can easily find a sign "BUS STOP"
+ If you are in Domestic Terminal (T1), directly go outside on the 1st Floor and find a sign stated "BUS STOP". Those information might be enough for you to get a suitable option for you. Either traveling by taxi or bus, transportation fee in Vietnam is not so expensive but you must keep in mind some notes as I mentioned in each option. Hope you will have a good memory in Vietnam and in the Hanoi Old Quarter! 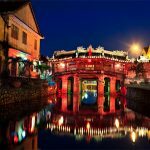 What Is The Best time to visit Hoi An?